Market-leading steel multirole workboat builder, Meercat Boats, has announced that it has been awarded the build contract for Guernsey Harbours’ workboat. The Meercat M15 is a 15.6m steel multirole vessel featuring a new side wheelhouse configuration, which will be built at Meercat Boats’ design and build facility in the Port of Southampton (UK). 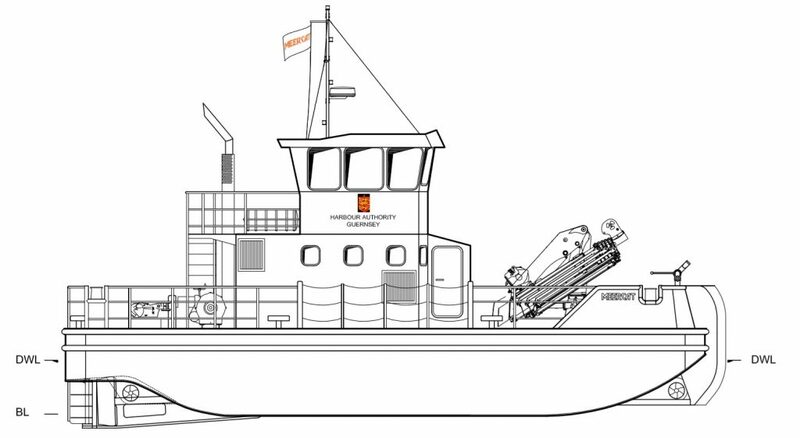 Jim Mair, Technical Manager of Meercat Boats commented, “Guernsey Harbours’ tender was extremely challenging due to the complexity of the multiple tasks that the workboat is expected to undertake. The wide variety of onboard equipment, combined with exacting performance requirements will certainly make her an incredibly versatile vessel. Delivery of the M15 is due in 2019.